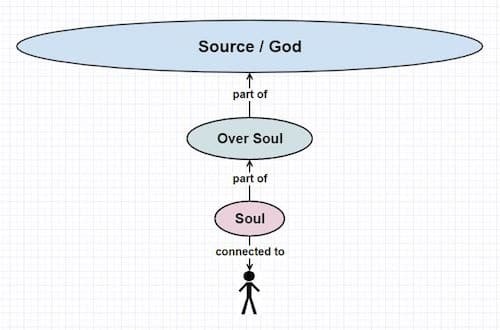 Most of us are familiar with the idea of the soul — the conception that our bodies are transient physical vessels for an eternal energetic aspect of our consciousness, which is our true essence. Conventionalscience dismisses this idea, and so do many people. I’m assuming that you probably embrace it since you were attracted to this article. You’re not alone; many people feel the presence of something greater within themselves. And as the great shift in the consciousness of humanity accelerates more and more people are feeling and connecting to it. While the models presented certainly do reflect some aspects of the deeper reality, it is my contention that they are just gross approximations. In the remainder of this article, I will present a more sophisticated model that is a synthesis of ideas from a number of different sources and expands greatly beyond the models mentioned above. It suggests that we are multidimensional entities present onmany levels of “reality” simultaneously and more powerful than we have been led to believe or have ever imagined. Only a small portion of your total beingness is present in the physical body that you may have erroneously assumed was all of you. The you that you identify as you is a part of a much bigger entity, which is ultimately also just a small part of the ultimate entity that is “all that is” — referred to through the ages by many names; Source, Infinite Creator, God, etc. Practicing presence thru meditation, communing with nature, stillness & service. Returning to breath & taking a “step back” to observe when I feel something is triggered. I find it so freeing to no longer have the need to take anything personally. My sister and I had a spat the other day and I just stood there all calm. Realizing that she was only projecting onto me her own frustration, her out burst had no emotional affect on me. I am no longer reactionary, that is very freeing. Thru nature. It don’t lie. 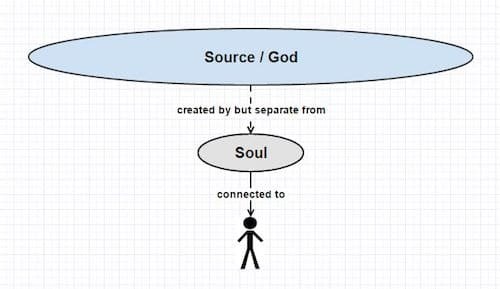 Always connected…no need to search…the concept of “higher” is “man made” through the belief in “higher”/ (as in)separated through degrees of physical/nonphysical. 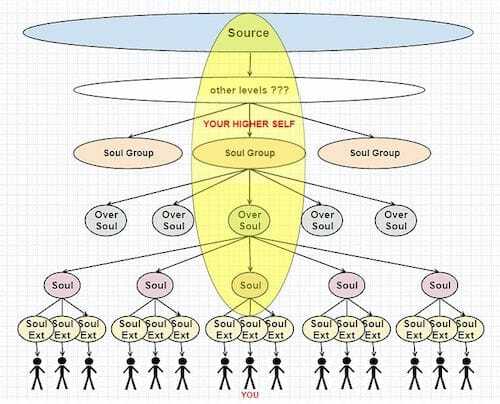 Ok so your saying higher self is self? I am my highest self? Always ? if you no how too see it and feel it ? you will never be the same again ? Human beings are fearfully and wonderfully made by a supernatural being called Jehovah God.We are made in the image and likeness of Jehovah.Science cannot comprehend God’s creative abilities. The Spiritual level operate with different asynchronous time and space frame , paralling the physical mental speed of earthly crawling the universes surface . 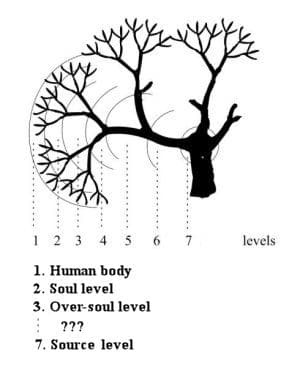 But both level is in “real time” but with asymetrical time space realms , through a parallel quantum spiritual and physical mechanism of *entaglement* . In General this article is in many ways accurate, but not totally. The Joseph Communications have taken the past 11 years to deliver to us what is considered the definitive guide to Spirit. 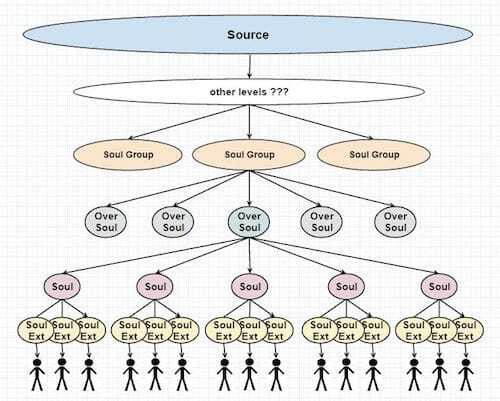 Delivered in over 100 Trance Mediumship sessions, fully fimed and recorded, the spoken dictated chapters from the collective consciousness of millions of highly evolved spirits in Joseph’s soul group. With permission from Angelic authority to try to help us save Humanity from yet another cataclysmic collapse. God does not have a name. God Is, that is all we need to understand. Religions are criticised by Spirit for having the arrogance of telling us that they know what God wants. They are also criticised for the untruthful concepts that they have created to try to control us. Now in 6 ‘not for profit books’ I highly recommend even the very knowledgeable author of this article to study ax they fill in so many blanks or misconceptions in our knowledge. http://www.josephspeaks.com Also some Q & A public sessions with Joseph on you tube Joseph speaks Happyduckuk.